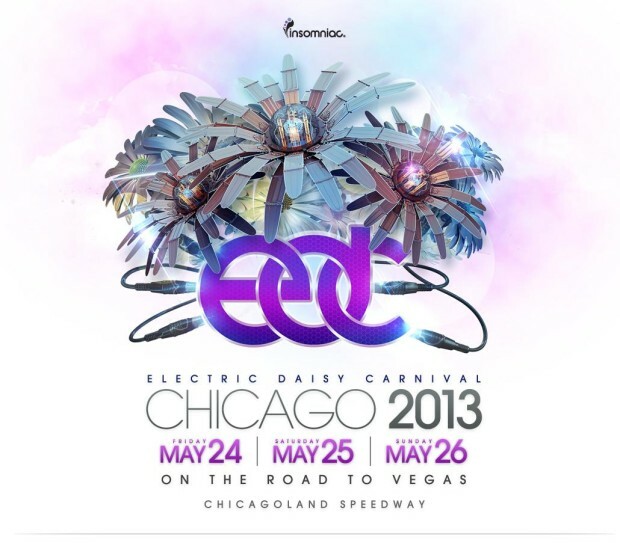 The Electric Daisy Carnival—one of the biggest electronic dance music festivals in the U.S., or “raves” as they were called back in the day—is coming to the Chicagoland Speedway in Joliet, usually the home of NASCAR, on Memorial Day Weekend, May 24-26. Promoted by Los Angeles-based Insomniac Events, best known for drawing as many as 300,000 dancers to the Electric Daisy Carnival in Las Vegas, tickets for the first Chicago-area shindig went on sale Wednesday at prices ranging from $204.13 for three-day general admission to $461.55 for “three-day VIP” with camping privileges. No acts have yet been announced. But, really, who hasn’t dreamed of the sheer joy of dancing all night and sleeping all day in a tent next to a speedway in Joliet, regardless of who’s spinning? But Insomniac is not coming to Chicago without some controversy. Though the company has resisted the big corporate players who are trying to muscle into the booming EDM scene, Live Nation and the new mega-dance venture started by Robert F.X. Sillerman, it’s been criticized for heavy-handed tactics in dealing with local promoters and smaller competitors. Rotella split with some of his key business partners last year, was indicted by a Los Angeles grand jury as part of a bribery scandal, had $1.75 million in assets frozen until he posted a $2.6 million bond and may have had a hand in shutting down/muscling out the Future Sound Dance Music Festival, a different dance party that was to have taken place outside Chicago on the same weekend as the new Electric Daisy Carnival. All of that is in addition to Insomniac’s arrival in this market posing a major challenge to the area’s dominant EDM promoter, REACT Presents, which hosts most of its events at the troubled Congress Theater, in addition to staging the Spring Awakening Festival in Soldier Field and the North Coast Music Festival in Union Park.